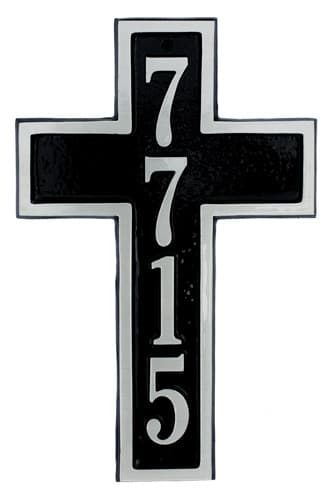 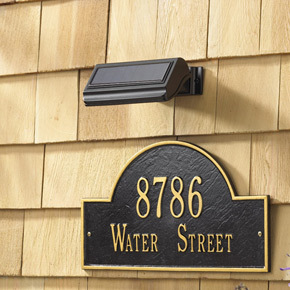 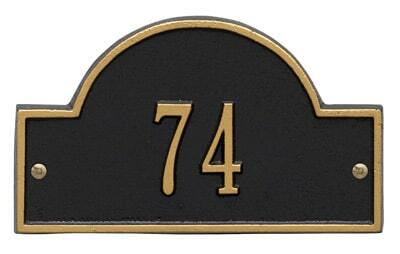 Cross Shaped address plaque, shown in black, are hand crafted in the USA and are made from the finest materials on the market. 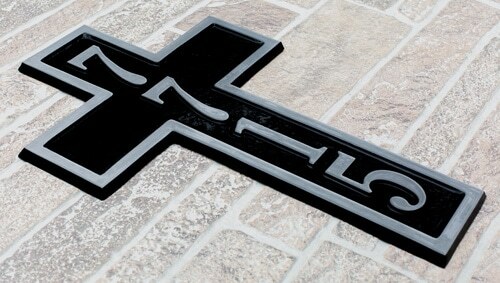 Each of the Aluminum Cross Shaped Address Plaques are made with pride from start to finish by the same skilled craftsmen in order to achieve a quality that is unmatched in the industry. 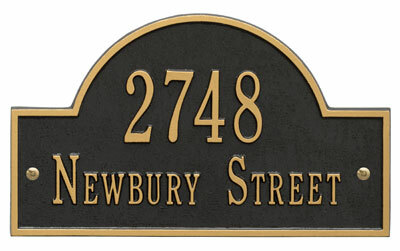 Majestic Aluminum plaques are constructed utilizing the latest technology in order to achieve the finest looking & longest lasting plaque line available. 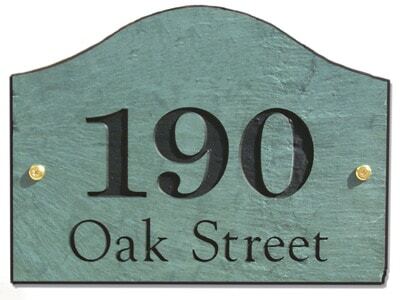 We take pride in manufacturing the finest cast aluminum plaques available. 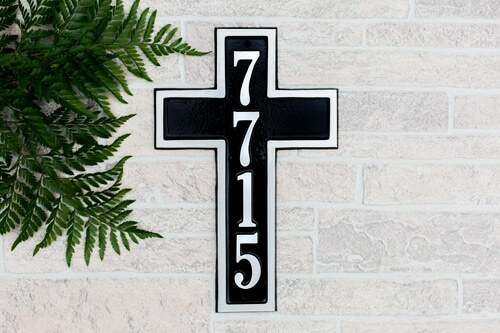 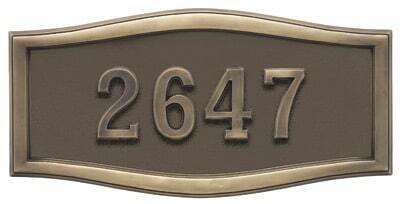 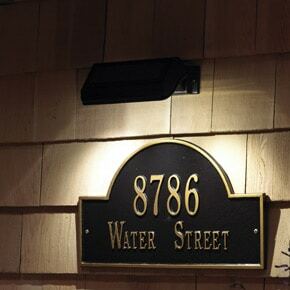 The Cross Shaped Aluminum Address Plaque holds up to four 3″ characters.